Down 650 points one day. Up more than 1,000 points the next. Down 660 points another day. That was the Dow Jones industrial average's performance just during one recent week. How should investors handle these market ups and downs? In the short term, just take a deep breath and don't panic. "Turn off, or at least turn down, the financial talking heads," says financial planner Paul Fain, with Asset Planning Corp., in Knoxville, Tenn. Longer-term, the following steps can help you make lemonade when the market gives you lemons. The best way to protect your portfolio from market blows is to have a cash cushion--ideally three or even five years' worth of expenses. With enough cash to cover your essential costs, you can ignore market swoons and avoid selling low. It's best to build up your cash stash before a downturn, but dividends, interest and capital-gains distributions can go into the cash pile when markets are down. As interest rates rise, aim to score a better return on your cash. You may find the best rates for your savings at online banks and credit unions. Check Bankrate.com and DepositAccounts.com for the latest rates. Other places to park cash: money-market funds, Treasury bills and short-term bond funds. If market swings have left your investment mix completely out of whack, rebalance to your target allocations. Experts often suggest rebalancing if an allocation is 5% or more off target. Rebalancing requires selling assets that have performed well and buying those that haven't--which can be hard to do. But when market conditions change, you may find you bought the laggards on the cheap. 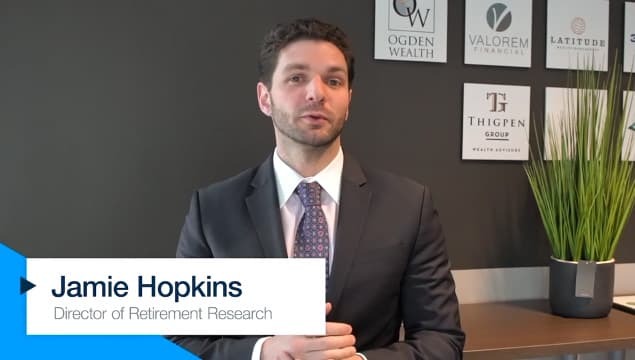 While preretirees can use new contributions to bring allocations back on target, "following a plan of rebalancing effectively allows [retirees] to enjoy buying at lower prices," says Mark Smith, a financial planner with Vision Wealth Planning, in Glen Allen, Va. When rebalancing, consider whether you need to reset your allocations. Has your risk tolerance declined? Do your current allocations still meet your needs? Is your portfolio well diversified? Weigh whether you need to dial down stocks and other riskier investments and increase more-conservative holdings such as bonds. "Market volatility is an excellent time to revisit clients' risk tolerance, goals and overall financial plans to make sure their goals are supported," says Sarah Carlson, a financial planner with Fulcrum Financial Group, in Spokane, Wash. When reviewing your portfolio, look to harvest any tax losses that can help trim your 2019 tax bill. Investors often harvest losses closer to year-end, but it doesn't hurt to watch for tax-saving opportunities early in the year. If you decide you want to reinvest in a stock you've sold for a loss, wait at least 30 days after the sale. Otherwise, you'll run afoul of the wash-sale rules, and the loss will be disallowed. You don't have to sell investments when you take required minimum distributions. Instead, you can transfer shares in-kind from the retirement account to a taxable account. The shares' value on the date of transfer counts toward your RMD. If the market is down, this strategy lets you satisfy the IRS without locking in a loss on your investments. You could do a single in-kind transfer or make the move gradually. If you have a $12,000 RMD, for example, you could transfer $1,000 worth of shares to a taxable account each month. Your traditional IRA may lose value in a down market, but the tax bill for converting those assets to a Roth will also be lower. If the investments' value revives after the conversion, all growth in the Roth will be tax-free. Be aware that you can no longer undo Roth conversions; a conversion will increase your taxable income for the year.